This document explains how to force quit an unresponsive application with Mac OSX. 1. 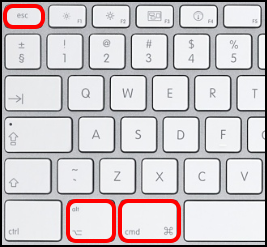 Simultaneously press the Command, Option (Alt) and Escape keys. 2. 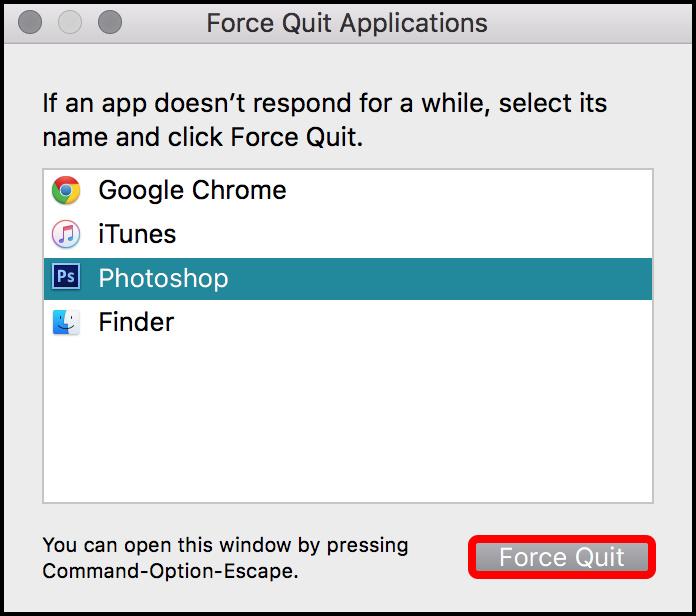 In the Force Quit Applications window, you can select the programs that you wish to close then click Force Quit in the bottom right corner of the window.